Kyle Smith graduated from Baylor University with a degree in Finance. He began working at Goen & Goen in 1987 with his uncle Dale Goen. Kyle eventually purchased the agency and has grown the business over the years. Kyle works in all lines of the insurance business, including crop, commercial, life and health as well as personal lines coverages. Kyle is now transitioning to a producer and advisor role in the agency. He will continue to work with clients (current and new), and help keep the agency growing. Taylor is a native from Floydada. He graduated from Floydada High School in 2005, and Texas Tech University in 2011 with a Bachelor of Arts Degree in English, with a minor in Mass Communications. Taylor got his start in the Insurance Industry in February 2012, working for an agency in Lubbock, Texas. After his start, he transitioned into Captive Agency with Texas Farm Bureau until February 2016. Taylor took the opportunity to come back “home” to Floydada on March 1, 2016 to become a producer with Goen & Goen. Taylor specializes in a variety of insurance products, such as commercial insurance, personal insurance for your auto and home, and crop insurance to protect any size farming operation. Along with those lines, he’s qualified to handle health insurance, as well as life insurance for your family or business. Something that Taylor takes a lot of pride in is the ability to tailor specific insurance programs to fit your needs, providing great coverage with affordable premiums. Taylor and his wife Molly became members of the Floydada community in July of 2016. They enjoy weekends at the lake during the summer, along with time in the Mountains in Colorado and New Mexico. Taylor enjoys wakeboarding, snowboarding, golf (even though he’s not very good), time spent with his friends, and sunny Saturday afternoons with food on the grill. Give Taylor a call for any insurance need that you may have. Gail is a crop insurance salesperson and the crop insurance office manager for Goen & Goen. She started with Goen & Goen part time in 1989, moving to full time in January 1990. Gail has been involved in the crop insurance business since 1987. Attending crop insurance updates twice a year keeps her informed on changes from the Risk Management Agency and ready to assist farmers in their decisions about the best coverage for their situation. Brandy has been with Goen & Goen since 2012. Brandy started as a personal lines CSR and she now is our personal lines manager. Brandy has also learned about the commercial and farm and ranch lines of insurance recently and is always looking for new ways to serve our customers. Kacy started with Goen & Goen in 2015. This is her first job in the insurance business and she has learned the business quickly. Kacy works as a personal lines CSR, is licensed, and is learning some of the other areas of the agency also. Kacy is one of the first people to greet you as you come in the agency. Greg has worked with Goen & Goen since the early 1980’s. He handles most of the document management operations of the agency and some of the bookkeeping duties. Greg enjoys hiking and the outdoors when he is not working. Audrie grew up on a farming and livestock operation in Idalou, TX. 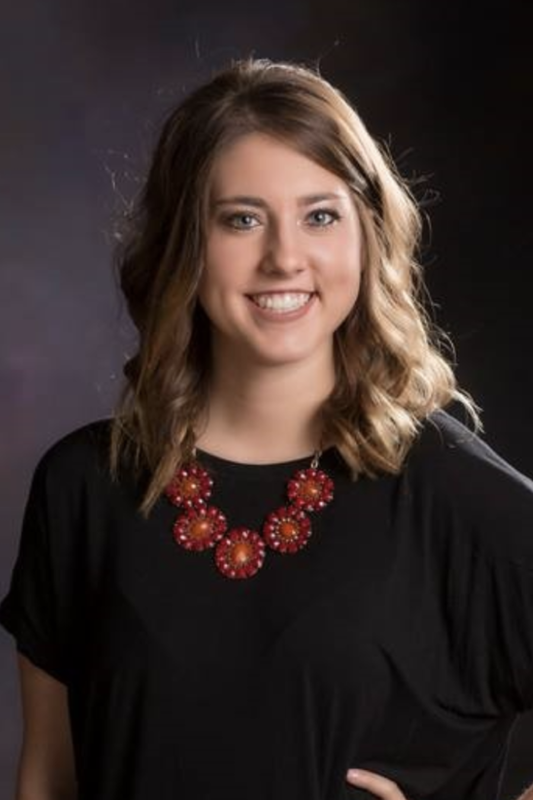 She graduated Idalou High School in 2013, and Texas Tech University in 2017 with a Bachelor of Science in Agricultural Communications. Audrie got her start in the industry during college as an intern at ARMtech Insurance Services. Following her college graduation, she began full-time as a Crop Insurance Underwriter for the company. Audrie began working for Goen & Goen in November of 2018 as a Customer Service Representative.